Are You Taking Vitamin D3? Maintenance of blood calcium levels within a narrow range is vital for normal functioning of the nervous system, as well as for bone growth, and maintenance of bone density. Cellular differentiation results in the specialization of cells for specific functions in your body. While cellular proliferation is essential for growth and wound healing, uncontrolled proliferation of cells with mutations may lead to diseases like cancer. Vitamin D is a potent immune system modulator that may enhance your immunity and inhibit the development of autoimmune diseases such as, Parkinson’s Disease and MS. The active form of vitamin D plays a role in insulin secretion under conditions of increased insulin demand. Adequate vitamin D levels may be important for decreasing the risk of high blood pressure. Higher dosages of Vitamin D have been shown to help relieve symptoms of SAD (seasonal affective disorder) such as depression and lethargy. See your doctor about having your Vitamin D levels checked. How much Vitamin D is recommended? Vitamin D Council recommended amounts Based on the body’s indicated daily vitamin D usage, Vitamin D Council recommends the following amounts of supplemental vitamin D3 per day in the absence of proper sun exposure. Healthy children under 1 year – 1,000 IU. Healthy children over 1 year – 1,000 IU per every 25 lbs of body weight. Healthy adults and adolescents – at least 5,000 IU. Pregnant and lactating mothers – at least 6,000 IU. Stop at one of our 3 locations or visit our website to pick up some Vitamin D today! Are You Feeling a Bit Stressed Out? We have the perfect thing for you! If you haven’t tried L-theanine, you’re missing out on one of nature’s most effective anti-anxiety remedies that is safe to use without unwanted side effects! You’ll feel calmer but you won’t be tired or foggy-headed! In fact, it helps you to think more clearly. Read all about it, then come and get it! Research on human volunteers has demonstrated that L-theanine creates a sense of relaxation approximately 30-40 minutes after you take it. L-theanine directly stimulates the production of alpha brain waves, creating a state of deep relaxation and mental alertness similar to what is achieved through meditation. L-theanine has a significant effect on the release or reduction of neurotransmitters like dopamine and serotonin, resulting in improved memory and learning ability. L-theanine may also influence emotions due to its effects on the increased release of dopamine. Dopamine is a vital neurotransmitter. Too little or too much can cause wide-ranging problems from mood disorders to Parkinson’s disease. Your body produces it in sufficient quantities, but sometimes lifestyle factors interfere and your brain might need a little help. When your body’s level of dopamine is on target, you are happy. You can process pleasure, think clearly, you are motivated and have the desire to accomplish things. Stress and anxiety are debilitating conditions that upset the balance of our hormones leading to a loss of our well-being, performance, and even lifespan. Stress impairs the immune system, leaving us vulnerable to opportunistic infections, and can cause depression. 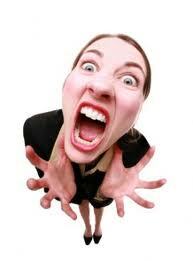 People under stress can mitigate many of the harmful effects of stress with L-theanine. One of the greatest benefits of L-theanine is that you can use it without becoming sedated in the process. L-theanine doesn’t make one drowsy, nor does it promote sleep because this amino acid does not produce theta waves in the brain. It is in many sleep formulas though, to promote relaxation so that you can fall asleep more easily. It helps quiet the mind. L-theanine is most effective in the range of 100-200 mg on an empty stomach, with the effect being felt within 30 minutes and lasting for 8-10 hours. FDA recommends a maximum dose of 1200 mg daily, although the reason for this limit is not clear, due to its well documented safety. BE READY for all the stress being thrown your way! Stop in to Baums and try a sample of L-Theanine and enjoy your day! Don’t forget Baums brand L-theanine is 20% off this month! All Vitamins Are NOT Created Equal! In a perfect world all of us would get all of the nutrients we need for optimal health from fresh, healthful foods. In reality however, this is often difficult, if not impossible. In our highly chemically polluted and stress-filled world, our nutritional requirements have been steadily increasing, but the number of calories we require has been decreasing as our levels of physical activity has declined. This means that we need to somehow get more nutrients into our body with less food. At the same time many of our foods are depleted of certain nutrients. Modern farming methods have resulted in soils that are lacking in selenium and other nutrients. Add to this extensive processing, improper storage, and other factors, and its little wonder that many of the foods that reach our tables cannot meet our nutritional needs. Getting even the recommended daily intake of vitamins from today’s diet has become quite hard to do. This means for optimum health, it is necessary to take nutrients in the form of supplements. 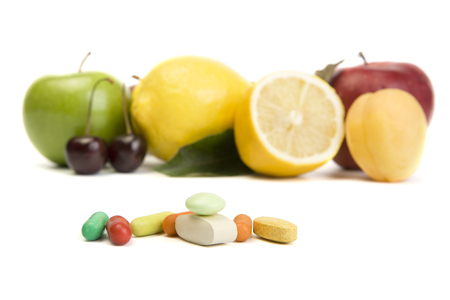 Vitamin supplements can be divided into two groups: Synthetic and natural. Synthetic vitamins are vitamins produced in laboratories from chemicals that are the mirror image of their counterparts found in nature. Natural vitamins are derived from food sources. The body recognizes them as food and utilizes them more efficiently. Supplements that are not labeled natural also may also include coal tars, artificial coloring, preservatives, sugars, and starch, as well as other additives. You should beware of these harmful elements when you purchase any supplements. Even vitamins that state that they are natural, may not be extracted from whole food sources. It is important to read labels carefully and to remember that you get what you pay for. Don’t expect to feel more vitality when taking a simple, mass produced, low-potency “one a day” that you picked up in the vitamin aisle at the local grocery or drug store. You may as well take the money you spent and flush it right down the toilet because with the coatings and binders used during manufacturing these synthetic multis, they aren’t going to break down and absorb anyway. The health food industry is in the business of health and wellness. Please purchase your supplements from a health food store where the employees are knowledgeable about what they sell. Make sure to buy only whole food based, certified vitamins. Better health starts with a high potency all natural multivitamin/mineral supplement with high levels of antioxidants to protect and nourish your body. Most of the drug store variety vitamins have such low levels of nutrients that it amazes me that they can market them the way they do. Recommended Dietary Allowances for vitamins and minerals have been prepared by the Food and Nutrition Board of the National Research Council since 1941. These guidelines were originally developed to reduce the rates of severe nutritional deficiency diseases such as scurvy (deficiency of vitamin C), pellagra (deficiency of niacin), and beriberi (deficiency of vitamin B1). Another critical point is that the RDA’s were designed to serve as the basis for evaluating the adequacy of diets of groups of people, not individuals. Individuals simply vary too widely in their nutritional requirements. As stated by the Food and Nutrition Board, “Individuals with special nutritional needs are not covered by the RDA’s.” A tremendous amount of scientific research indicates that the “optimal” level for many nutrients may be much higher than their current RDA. The RDAs focus only on the prevention of nutritional deficiencies in population groups, and do not define “optimal” intake for an individual. Other factors the RDAs do not adequately take into consideration are environmental and lifestyle factors which can destroy vitamins and bind minerals. For example, even the Food and Nutrition Board acknowledges that smokers require at least twice the amount of vitamin C compared to nonsmokers. But what about other nutrients and smoking? And what about the effects of alcohol consumption, food additives, heavy metals (lead, mercury, etc. ), carbon monoxide, and other chemicals associated with our modern society that are known to interfere with nutrient function? Dealing with the hazards of modern living may be another reason many people take supplements. Just this May there was a big story on the front page of The Times titled “The Government Says You Can’t Breathe Our Air” reporting about the horrible air quality in the region. Air that we breathe everyday. Now more than ever it’s vitally important to saturate your diet with fresh produce (organic whenever possible) and whole grains. Meat and dairy are great sources of vitamins, minerals and protein, but they also contain pesticides, fertilizers, hormones and antibiotics unless the animals are organically raised. Unfortunately most of us don’t eat that way.? What Should Everyone Take Daily? If you walked into Baum’s for the first time and you’ve never taken a supplement before in your life and need to know where to start, this is not only what we suggest, but what industry leaders suggest everyone take whether you’re 12 years old or 80 years old. A high potency all natural multivitamin/mineral complex. They help make up for nutrient deficiencies lost in today’s diets. Essential fatty acids for proper heart, brain & vision function. Digestive enzymes to help break down the foods you eat so they can be absorbed by the body more efficiently. This is the foundation for a vibrant healthy body. Probiotics help maintain your immune system by keeping bad bacteria at bay. If there are other health concerns you may have, be sure to consult with our staff to find a more natural approach to treatment. GABA (Gamma amino butyric acid) is one of the non-essential amino acids that is synthesized in the brain from another amino acid, Glutamic acid. In the brain it acts as a neurotransmitter (chemical messenger that transmits signals from one cell to another) that works efficiently for calming your mood and reducing anxiety. It also plays an important role in improving brain function. This amino acid not only shows soothing effects on the brain but also slows down the heart rate and regulates breathing. It also acts as a sleep inducing agent. In your brain, if the level of GABA declines you will become anxious and uneasy. GABA can help you to relax. Reduced secretion of GABA in the brain may also lead to a number of neurological problems such as sleep disorders and epilepsy/seizures. GABA has the ability to reduce the over stimulation of brain cells, inducing relaxation and relieving nervous tension. During a stressful situation, it can help the brain function by blocking the stress related messages that are reaching the brain, hence it can be useful in decreasing emotional stress and hypertension. GABA can also be beneficial in reducing the symptoms of hopelessness. GABA supplementation has shown to have positive calming effects there by reducing stress and aggravation. GABA is the natural calming agent in the brain that helps to promote a good nights sleep as well as improving sleep quality. GABA is also effective in reducing mood swings in females during the menstrual cycle and helpful for easing depression. GABA has been used to enhance the secretion of growth hormone from the pituitary gland (master gland of the body that affects most of the hormones). Since human growth hormone is involved in fat metabolism, its deficiency causes accumulation of fat around the hips and waist. Another problem associated with a low level of growth hormone is reduced thinking capability. In these conditions GABA indirectly improves physical and mental performance as well as decreases body fat by increasing the level of growth hormone. This amino acid can suppress the activity of brain cells so it may be effective in treatment of certain over stimulated brain disorders such as attention deficit disorder and epilepsy. The best way to get GABA is through supplementation. It can be taken in its pure amino acid form or can produced in the brain by L-Theanine. While it is possible to increase the body’s GABA supply through food sources, usually this is not enough to see any positive effects. Which GABA supplement is the best? Many companies offer GABA supplements, but which one is the best? Many of these products contain too much or too little GABA, require too many pills, are too expensive, or are of poor quality. Natural Factors PharmaGABA supplies 100mg of pure GABA in a delicious chewable wafer. The product was formulated by Dr. Micheal Murray, one of the world’s leading authorities on natural medicine. Baum’s Natural Foods carries Natural Factors products including PharmaGABA. Visit one of our three locations and find out more about PharmaGABA today!